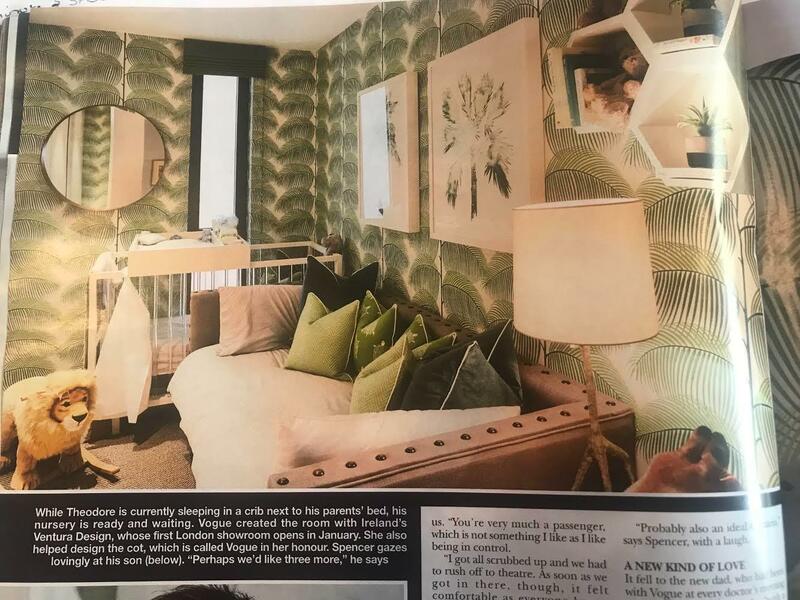 We could not wait to pick up the latest edition of Hello Magazine which showcases our bespoke ‘Jungle’ themed nursery we created for Vogue Williams and Spencer Matthews ahead of the arrival of their gorgeous baby Theodore. 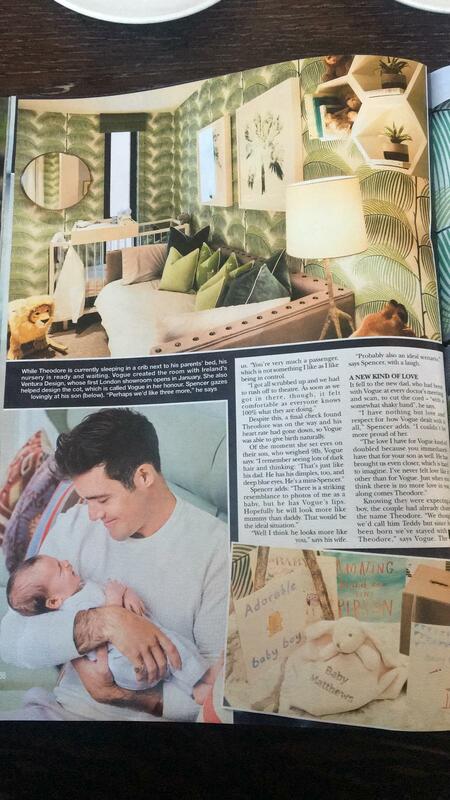 In the visual below you will see our newest addition to the Baby Ventura product range, our handcrafted lucite crib, which we have called The Vogue Crib. You can see the full product description here and it is now available to order.